Borrow our telescope and get a glimpse of the universe. From stars and planets to satellites and the Earth's moon, there is so much to see in the night sky. Now, you can get an even closer look at it by borrowing a telescope from the library. Cardholders MUST be 18 years old to borrow the telescope. Call us to make a reservation. 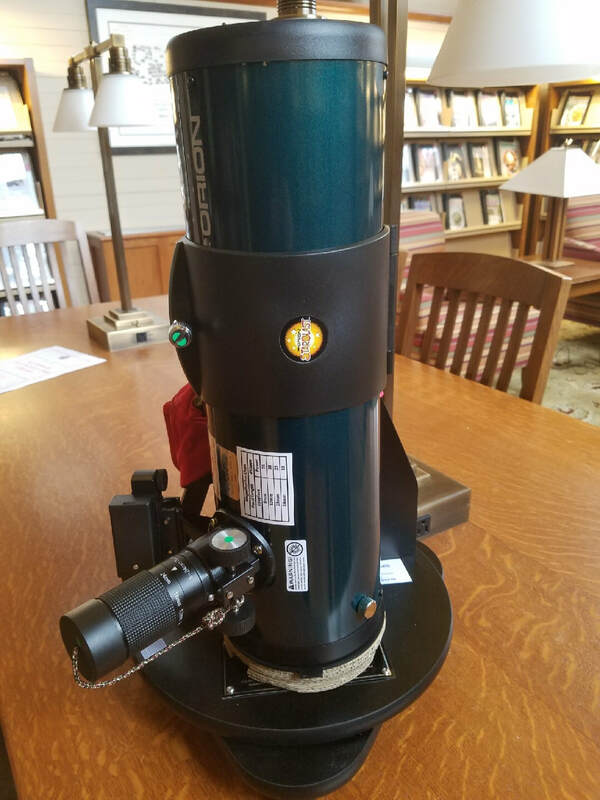 Our telescope is an Orion StarBlast 4.5 that has been provided and modified by the Aldrich Astronomical Society as part of their Adopt-a-Library Telescope program. It is easy to use and comes with resources to help start your astronomical discoveries.